The 2018 Atlantic Hurricane season begins June 1 and runs through November 30. 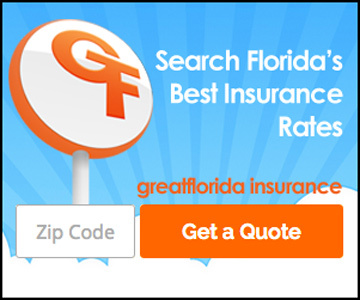 “Current research proves hurricanes are growing stronger and occurring more frequently,” says Ellsworth Buck, Vice President of GreatFlorida Insurance, Florida’s largest independent auto insurance agency. Colorado State University predicts a slightly above average Atlantic hurricane season, with 14 named storms, seven hurricanes and three major hurricanes. Whereas, The Weather Channel, is predicting 13 named storms, six hurricanes and two major hurricanes. While thunderstorms commonly occur in Florida, hail is not as common. It is a type of frozen precipitation that occurs within strong to severe storms any time of the year. Hail causes approximately $1 billion in property damage annually nationwide. Hail can dent your automobile’s hood, trunk and doors. It can break and crack mirrors and windows and cause damaged or stuck doorjambs. “It is really tempting to observe the novelty of anything frozen falling from the sky but hail can be dangerous, especially if it is sizable,” reminds Ellsworth Buck, Vice President of GreatFlorida Insurance, Florida’s top independent auto insurance agency. If you are out driving when a hailstorm hits, don’t panic. Below are tips to stay safe on the road. Slow down and be aware of other drivers around you who make not know how to react when driving in a hailstorm. Create distance between you and the driver ahead of you. Safely, get off the road. The impact of hail is greater on a moving object, so your car is at greater risk of damage when it is moving forward. Look for coverage close by such as a gas station awning or garage. Avoid trees, falling branches can cause more damage. If you stop under a bridge or overpass be sure to pull completely out of traffic lanes and onto the shoulder. Do not leave your car. Try and keep your car at an angle so hail hits it from the front. Windshields are reinforced to withstand pelting objects. Side windows and back glass are not, they are much more vulnerable to shatter or break. If the hail is severe, cover your eyes or the eyes of any passengers with a blanket. Get face down in the backseat or floor, face away from any windows. Stay clear of culverts or ditches that quickly fill with water. Most comprehensive auto insurance policies will cover hail damage. Once the hail damage is accessed, work with your insurance agent to file a claim and get your car into an auto body shop to repair any dents or other damage caused by the storm.